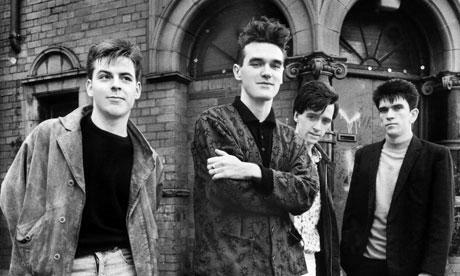 Perhaps one of the most famous images of The Smiths was the image of the band taken outside The Salford Lads Club in Manchester for the cover of The Queen Is Dead. The photographer of that was Stephen Wright and next month, some of his work will be showcased as part of an evening celebrating the first anniversary of Austin’s Modern Rocks Gallery. Modern Rocks Gallery is the only gallery in the US to stock that iconic shot and now Stephen has given them outtakes from that very shoot. There are also early live shots of Morrissey and The Smiths, as well as some other work such as live shots of New Order, Madonna, Prince and John Lydon. The exhibition will be on display from April 18 - May 23. You can find all the details here.